Roof valleys are especially prone to deterioration and leaks, since they are a major avenue for rain and snowmelt runoff. Read on for information if your roof valley leaks or is in need of repair. Though each roof is unique, the most common reasons for roof valley leaks include improper construction, a lack of maintenance, and age. Often, roofing nails are placed too close to roof valleys. Ideally, nails should be placed at least six to ten inches away from roof valley seams, as nails placed too close to roof valleys will draw moisture through the roofing material, causing advanced aging. This process will also make your roof susceptible to wind damage. Additionally, a roof valley installed without an ice and water shield has a higher likelihood of leaks. In that case, you should install an ice and water shield when performing a roof valley repair, as it will provide greater protection for your shingles or tiles in the long run. However, this process usually involves removing extra shingles from your roof, so if you've got a lot of roof valleys, a complete overhaul may be more economical. Roof valleys funnel water and debris down into your gutters. If debris such as leaves and branches build up in your roof valleys, the water won't be able to drain. Often, this means that excess water will find its way through your roof, potentially causing structural problems down the road. To avoid this problem, make sure you clean your roof at least twice a year, clearing away any and all debris. After weathering many sunny days, snowfalls, and thunder storms, all shingles begin to show their age. 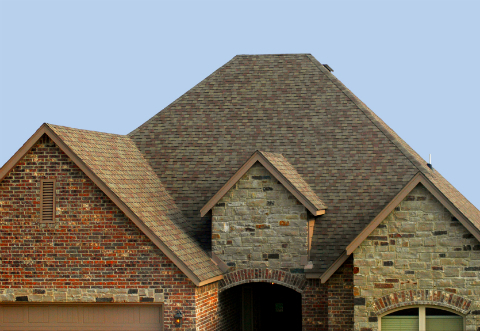 Over time, your shingles will dry out, shrink, and crack, allowing water to seep through your roof and into your home. Additionally, if you have an older roof, your roof valleys will likely have had earlier repairs. Sealants used for repair don’t always have a long life span and will begin to crack and chip away, creating a perfect spot for leaks. Overall, your roof valleys will age and need repairs sooner or later. For a temporary repair, you may be able to use roofing cement to mend any cracks or leaks. But as mentioned, this is only a short-term solution, and you'll eventually need to construct a new roof valley. The best way to do this is to install new metal flashing. First, remove all debris in your roof valleys. Then, measure the width of your new flashing. Using a pry bar, remove the shingles from your roof valley, enough to clear 8” on either side. If you need to install new ice and water shields or underlayment, you will likely have to remove far more shingles. Place your new flashing into your roof valley, and cut to size with sheet metal cutters. Attach the flashing with roofing nails every 12” at the outer edges. Once you install replacement shingles around your roof valleys, you can enjoy a home free from leaks. That said, remember that working on your roof can be dangerous, and complicated roof valley repairs are best left to experienced roofers. Find qualified professionals to repair your roof valleys by using our contractor database today.